Sometimes we throw out the boxes electronics and stuff with multiple components in. Some people make the conscious effort for space, throw out the boxes. 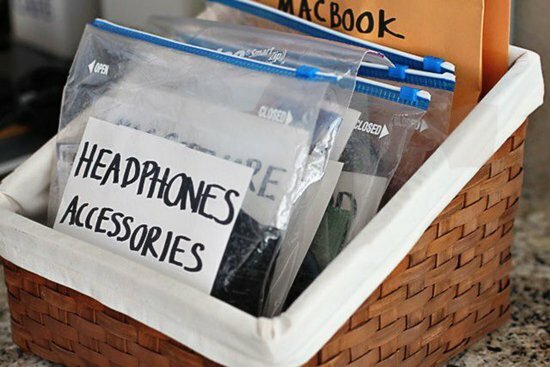 Getting a ziploc bag to hold all remaining items is the best bet. And use a marker and write on the bag or use a label. Write what it is! So any CD’s, loose wires, instructions, anything that might be needed can go in that bag and be together! Nothing worse than trying to find the instructions or that replacement bulb and you don’t know whee they are!! We do this and it works very well! !